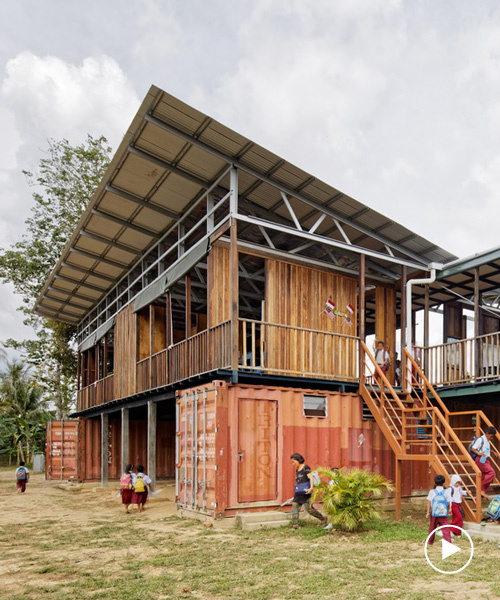 non-profit organization billionBricks and architecture brio have completed a school in sabah, a malaysian state occupying the northern part of the island of borneo. 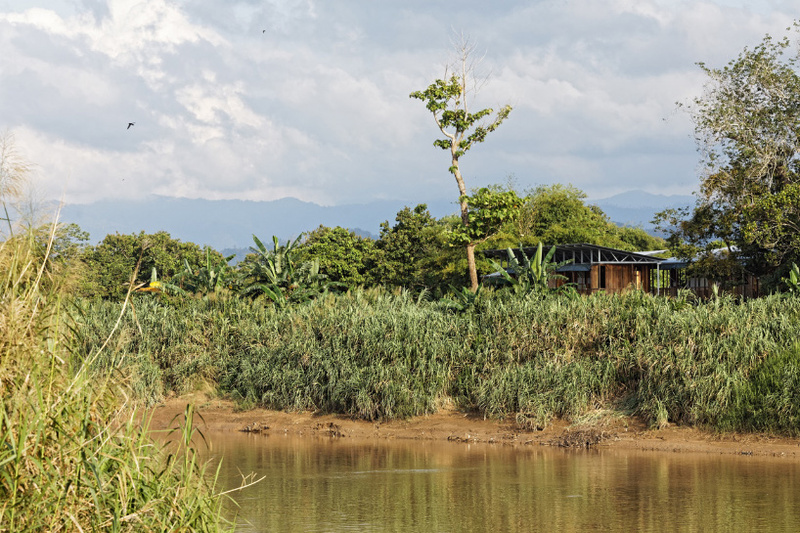 the area is known for its plantations which contribute heavily to the local economy and attract migrant laborers. the workers come to sabah to seek an income on the plantations, but many have become marginalized as a result of their legal status. 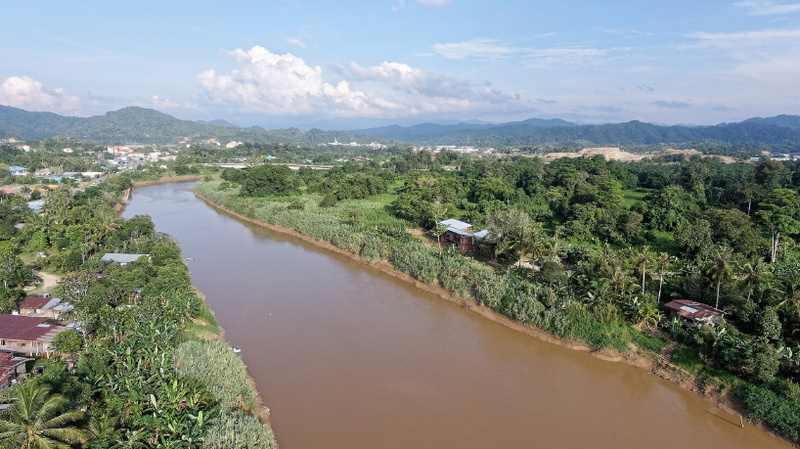 consequently, the region is home to many thousands of stateless young people — mainly children of illegal or legal indonesian migrant laborers. 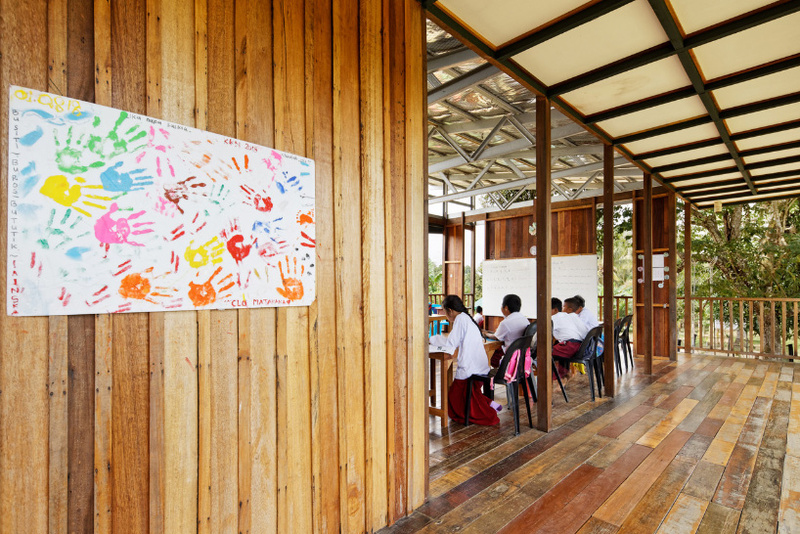 developed in collaboration with harvard business school, etania schools are learning centers for marginalized and stateless children who have little or no access to education. the schools, which offer safety and security, run a full learning program six days a week with all necessary curriculum subjects. billionBricks and architecture brio were asked to draw up plans for a prototypical design that would be the first of 30 schools planned for the state. 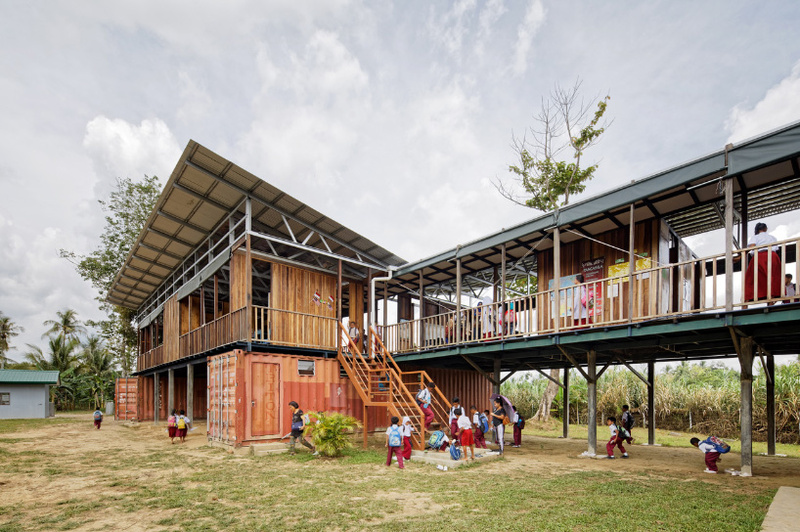 designed for 350 children aged 5-13, the school is located along a river with a history of flooding approximately once every decade. 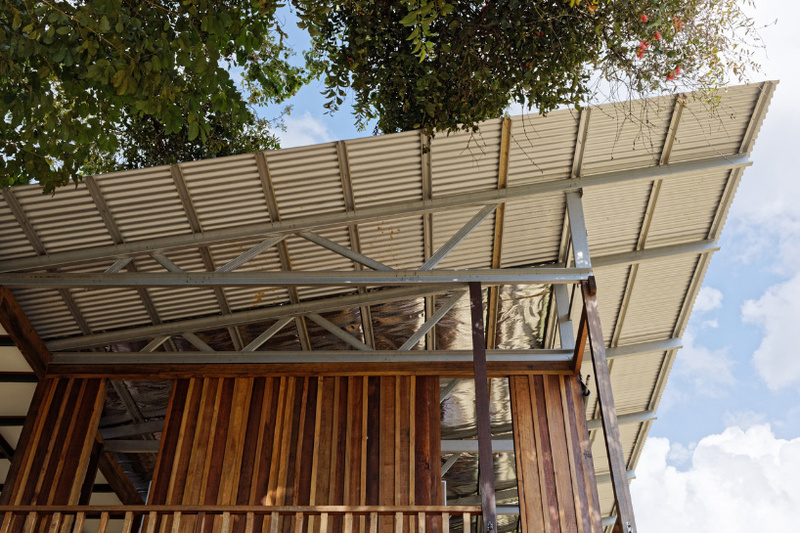 as the destruction of the original rainforest has increased the flood risk even further, the school is raised above the ground in an unconventional way. 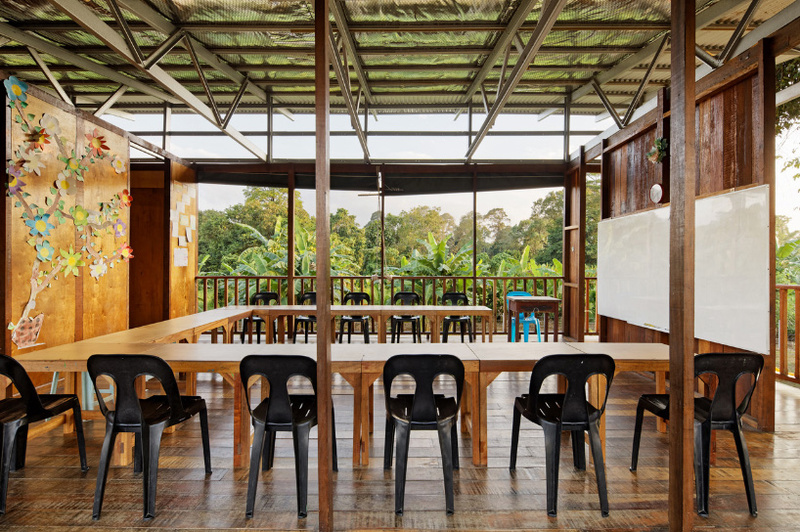 five decommissioned shipping containers, and an artificially created mound from soil excavated for a water harvesting pond, support the classrooms — a gesture that creates a covered gathering space. meanwhile, the containers themselves are used for storage and washroom facilities. conceived as a ‘place for exploration and overcoming challenges’, children can move around the school in a variety of ways. the upper level is reached by a centrally located staircase, two ladders, or from the slopes of the mound. 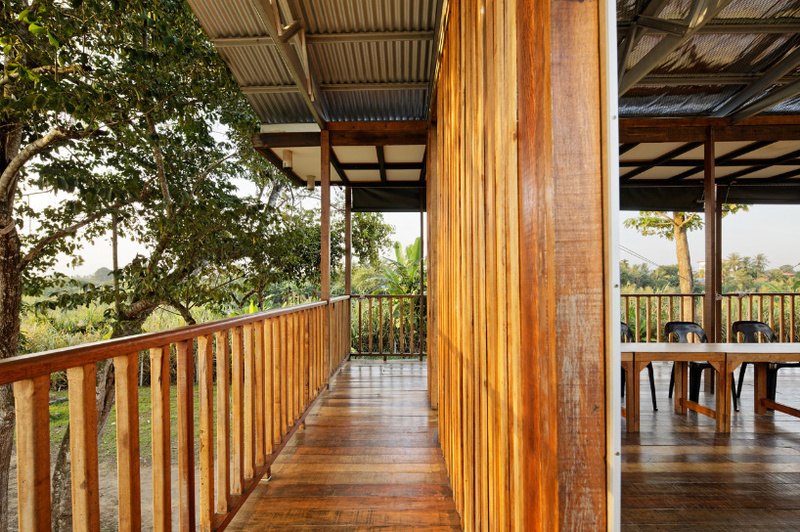 on the first floor, three blocks are placed alternately on either side of a central verandah. two blocks contain four classrooms, while the third block on the mound contains a teacher’s room and a library. 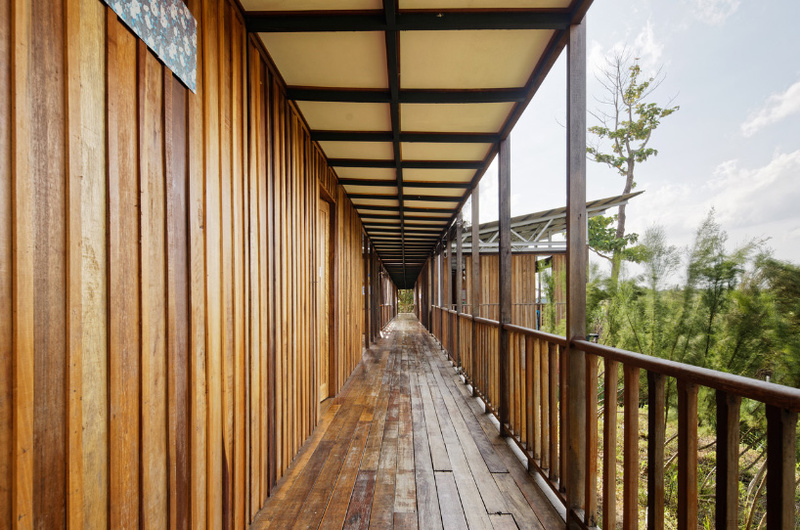 all classrooms face the river and enjoy a natural draft of air that flows in the north-south direction. between two classrooms, children can use two smaller areas for group work. since multiple year groups are often combined, these extra spaces give teachers the flexibility to teach larger classes. 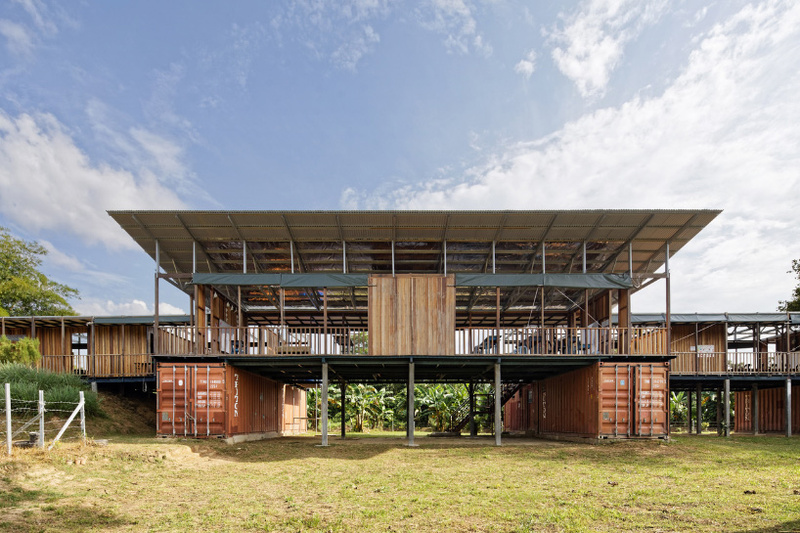 one of these spaces is a reading room with a netted floor where children can find a comfortable place to read. billionBricks is a non profit with a vision to end homelessness. find out how you can support the mission on the NGO’s official website here.